IT'S TIME TO OPTIMIZE YOUR TEXTBOOK OPERATION. TWO SOLUTIONS. ONE GOAL. YOU FIRST. We invite you to discover the eCampus.com Course Material Solutions Advantage. Studies show students are increasingly choosing to buy textbooks online. Give them a reason to purchase from you by providing a 24/7 online bookstore with competitive internet prices. We improve textbook affordability by negotiating the best price on your behalf so more students can access their course materials to ensure academic success. Our state-of-the-art solutions and technologies can position your institution as a leader in a constantly evolving market. 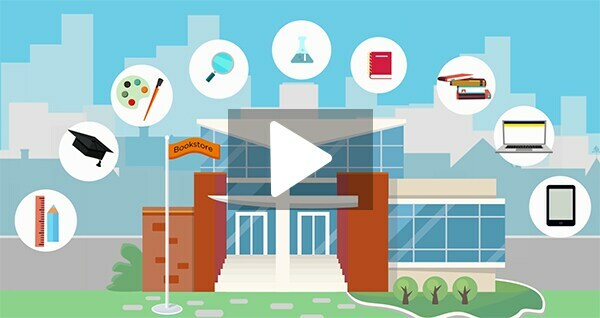 discover, manage, and distribute course content. Your students are purchasing online. Give them a reason to purchase from you with a branded 24/7 virtual bookstore that guarantees the right materials, the right price, and maximium purchasing flexibility. Amplify student success by providing an all-inclusive solution to discover, manage, and distribute course materials.